"Then you've got Real Madrid, Atletico Madrid, Barcelona, Bayern Munich and Juventus. It will be difficult, but you can never say impossible." 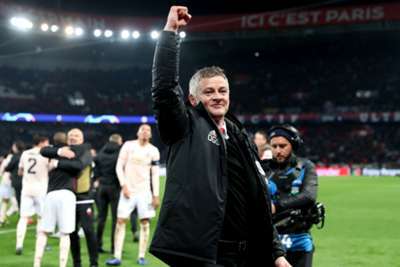 While admitting it will be an emotional experience to return to Camp Nou in charge of United, he insists he will not let the occasion detract from what his side need to do. "I don't believe in fate, but I do believe that you get what you deserve," he said. "Sometimes things are meant to be if you really go for it. "I'm not the type to think: 'This makes me proud.' I will feel the butterflies and I will be excited. I cannot wait to get going because it's the biggest stage. "It's against the best club of the last 10 or 15 years. Since [Pep] Guardiola took over they have been absolutely brilliant." 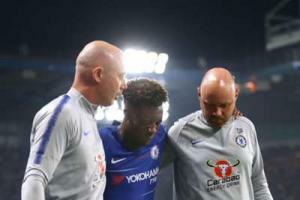 After his season was ended by a ruptured Achilles tendon, Chelsea youngster Callum Hudson-Odoi confirmed he had a successful operation.